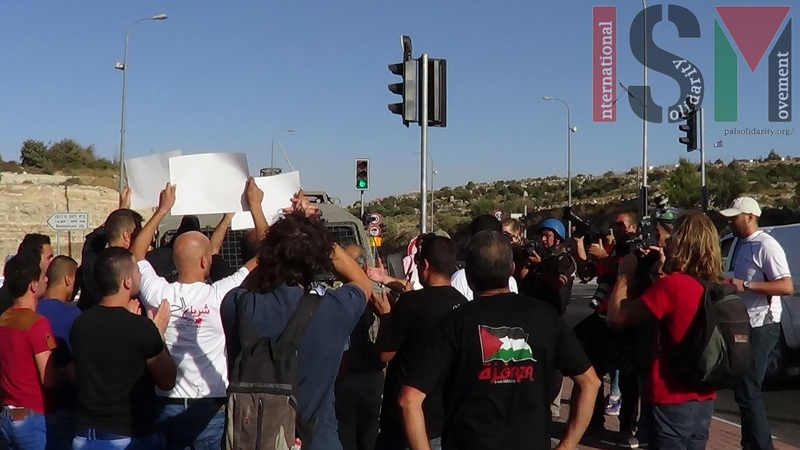 On the 30th July, approximately 40 Palestinian and international activists marched from al-Khader gate on the outskirts of Bethlehem and blocked Road 60, which connects all the illegal settlements in the area to Jerusalem, in protest over Israel’s attack on the people of Gaza. 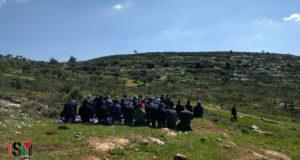 The group peacefully marched up the road leading to the junction connecting the Palestinian road and the settlement road, chanting slogans against the occupation. When the group reached the junction, they blocked one of the roads for a short time, which involved standing in front of an army jeep, blocking its path. Around five soldiers saw the demonstration and called for reinforcements. After a few minutes, more soldiers arrived and pushed the demonstrators, first onto the pavement and then back down the road. Some of the soldiers were very aggressive and violent towards the Palestinian protestors. The soldiers then closed the military barrier at the end of that road so Palestinian traffic was obstructed. Palestinians continued to chant peacefully from the other side of the barrier and the soldiers stood and watched for a few minutes. Then suddenly, without warning, soldiers threw and fired multiple stun grenades directly at Palestinians, in breach of military rules. Palestinians were forced to run backwards as three Israeli soldiers positioned themselves on an adjacent area and aimed sniper rifles at the demonstrators. With the non-violent demonstration having been violently dispersed, a number of Palestinian youths went to another junction nearby and clashed with the Israeli army. 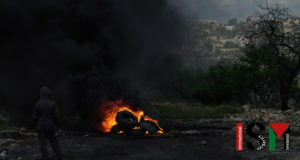 The Israeli army fired tear gas canisters, rubber-coated steel bullets, and ‘skunk’ (chemical) water while Palestinians responded by throwing stones, launching fireworks and burning tires. 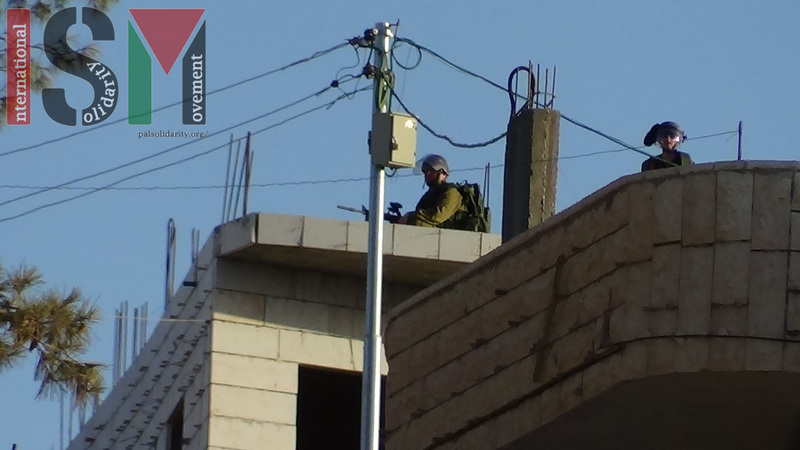 The military also occupied a number of local houses, from which they fired weapons at youths and protesters.